Diesel Power Products is your diesel performance headquarters proudly located in Spokane Valley, Washington. 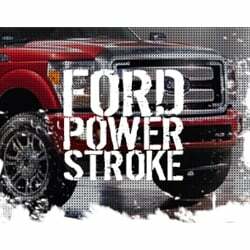 Our online storefront provides the most comprehensive catalog for your diesel truck and we offer the industry's best product support for your Dodge Ram Cummins, Ford Powerstroke, GM Duramax, Ram EcoDiesel, Nissan Titan XD, Volkswagen TDi, or Sprinter. We offer FREE SHIPPING on all orders over $100 and have numerous shipping locations throughout the United States to ensure you receive your product as quickly as possible. We are a stocking warehouse distributor for numerous manufacturers such as BD Diesel Performance, ATS Diesel Performance, Carli Suspension, and Edge Products. We pride ourselves in being America's Diesel Superstore, but with a small store approach—large enough to supply you with anything you need, yet small enough to remember who you are. Our highly trained team of diesel enthusiasts supports our online storefront with expertise and experience and are here to assist you every step of the way. If you're able to stop in, you'll see Powerstroke diesels, Dodge Cummins, and nearly every other make filling our employee parking area. If you need performance parts or stock replacement parts for your diesel engine, call us and experience the Diesel Power Products difference. 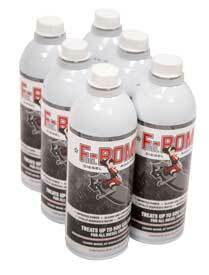 The Most Powerful Diesel Fuel Additive on Earth! Add 61hp and 112lb-ft to your 2017-19 Duramax L5P! The Banks Derringer tuner with iDash 1.8 Super Gauge gives you unparalleled power, safety, and monitoring. Warranty-friendly, it leaves no footprint on your ECU. AutoRate, TransCommand, and ActiveSafety keep your engine and transmission safe. The last ball joints you will ever have to buy for your Heavy Duty Ram. One thing is for certain, 3rd and 4th Gen Rams are known for eating up ball joints, and while you could take the path of garbage knurled ball joints time and again from your local parts store, why not do it once and forget about it? Gain reliability, power, and lower EGT's from your 6.0 Powerstroke by swapping out the failure prone factory turbo for this Stage 2 Screamer from BD. Delivering true drop-in performance, you won't be disappointed. 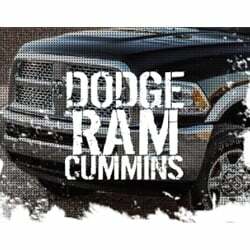 Sure, the entire line of Royalty Core Grilles will aid in completely transforming the front end appearance of your Ram to set it apart from the crowd. But did you know that there is also a significant performance gain? By eliminating the bulky "cross hairs" of your stock grill in favor of a more open design, tests have shown a drop in transmission temperatures of over 15 degrees! ON SALE FOR ONLY $3200! Why did the EcoDiesel initially intrigue you? Was it the fuel economy capabilities? Maybe its because you've grown to realize you really don't need a three quarter or one ton, but you just love diesels. Or possibly you just wanted something new and a little different. Whatever the reasoning for you, in general, this little power plant has proven itself to be capable of great fuel economy and has a decent amount of grunt behind it. The G56 6 speed manual transmission originally employed in mid-model year 2005 Rams has shown its weaknesses over the years. The dual mass flywheel delivers super smooth shifting, but lacks integrity. Never let a slipped clutch end your day early again by upgrading to a South Bend Dual Disc.